Leave all personalization info needed to make the stone here. 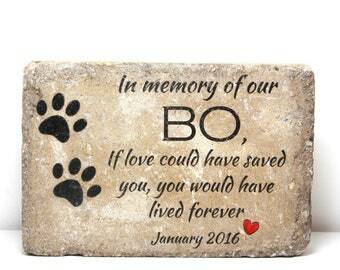 All messages, names, dates, paw prints can be adjusted. Feel free to be as detailed as necessary. We are currently right on track and all orders are being made in 1-3 business days. 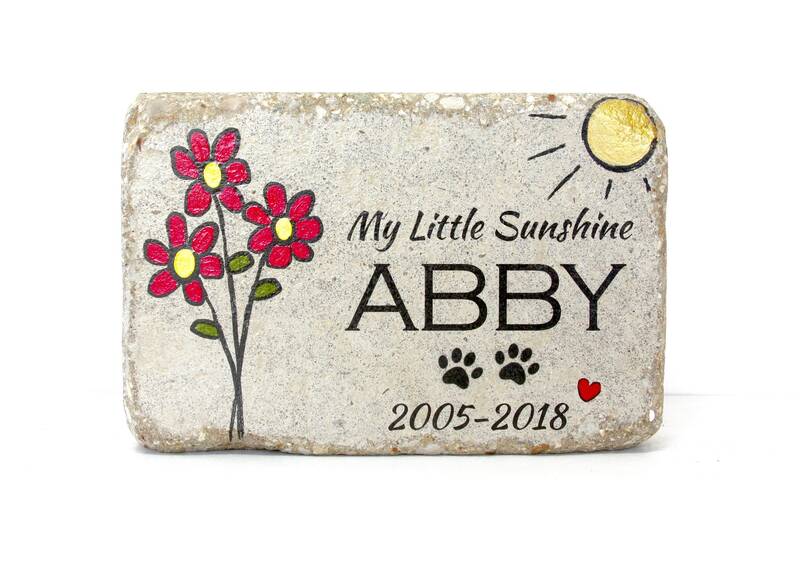 A sweet personalized memorial stone for your favorite pet. 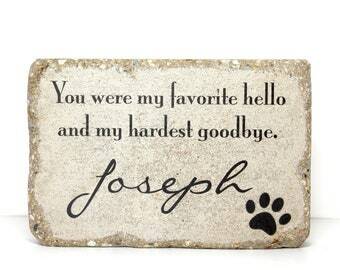 It is colorful and with the option to personalize this for your pet, will be beautiful in any space. 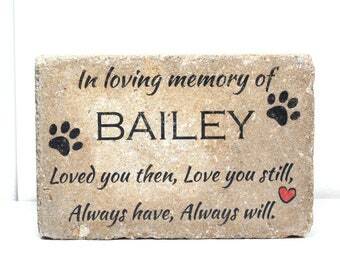 HOW TO ORDER: In the personalization box provided, leave clear details how you'd like this stone to be made. Line above name can say whatever you like and name and dates can be whatever you'd need. As long as you leave clear details how you'd like the personalization for this stone, I am happy to make it for you. Paw prints could be also removed if desired. 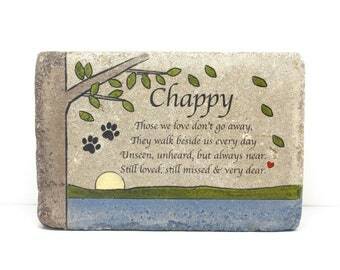 Love my stone for a special girl. Super fast shipping and her work is beautiful. Thank You!! !